Delivery of the product according to individual valuation - please contact us. Quantity per Pallet 350 szt. 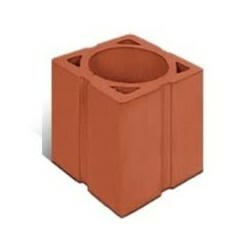 Ceramic brick is a material for making external, structural, partition walls as well as chimneys and decorative elements. Creates a healthy, friendly microclimate inside. This completely ecological building material is a durable, durable and resistant to weather conditions. 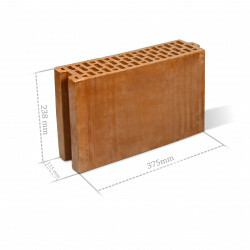 Declaration of performance for a CERAMBUD brick in Polish. 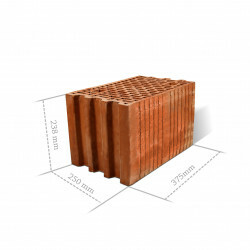 Instructions for using the CERAMBUD brick in Polish.